Played by John Digweed on his Kiss FM show. Charted by Nick Warren at number 2. Chris’ remix features on Anthony Pappa’s Balance 006 compilation and Chris’ Fear 3 compilation. (C) & (P) Silver Planet Recordings 2004. Published by Secret Music Limited. 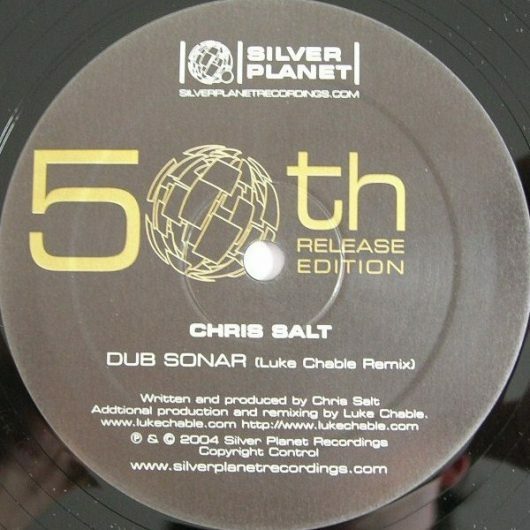 Dub Sonar written and produced by Chris Salt, remix and additional production by Luke Chable. Delta of Venus written and produced by Main Element, remix and additional production by Chris Salt for Effective Music Services.